Not only does Rooted deal in some never-before-seen strains, but it rounds up its 3.5-gram eighths to 4.5 grams and 7-gram quarters to 9. 7817 NE Halsey St., 971-407-3124, rootednorthwest.com. 11 am-8 pm Tuesday-Saturday, 11 am-7 pm Sunday-Monday. Should you happen to be traveling eastbound on I-84 with a hankering for some green, just a few blocks off Exit 5 you'll find an aging building with a wood-paneled façade coated in mute, blue paint. 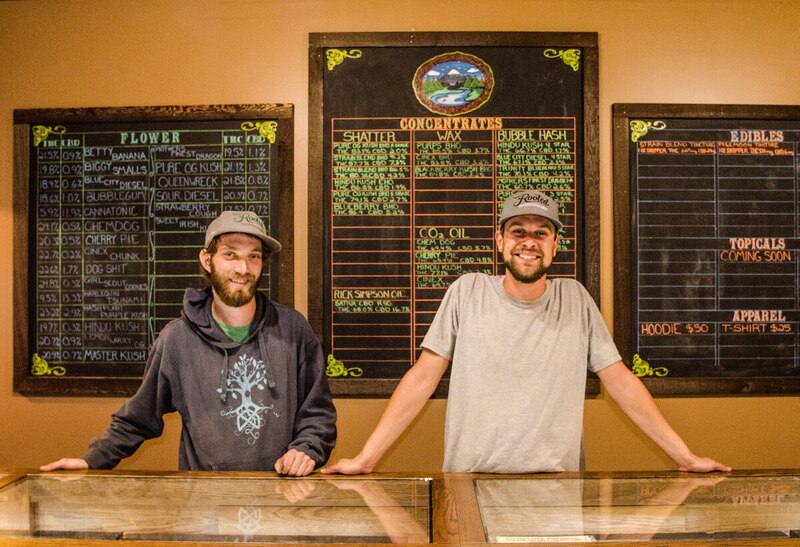 A sleepy craft cannabis destination that exists as a counterpoint to the opinion that recreational weed eclipsed the small-batch wonders of Oregon's medical era, Rooted Northwest got its start as a medical club back in 2015, vertically integrating flower from its now-defunct, Oregon Medical Marijuana Program-licensed farm Tricome Forest Organic Farms. When Rooted transitioned to serve the adult-use crowd under the Oregon Liquor Control Commission's recreational permitting system, its garden didn't grow with it. What it didn't cut loose, though, was its eye for the experimental and exceptional—namely, for cultivars that call to mind the rare strains of the med days. During my visit, I was thoroughly impressed by the nuanced line of cultivars on hand from America 1776, a farm helmed by Sunny Seed Company's Jed Moser. Not only does Rooted deal in some never-before-seen strains, but it rounds up its 3.5-gram eighths to 4.5 grams and 7-gram quarters to 9. It's a consumer-friendly everyday deal that renders already affordable product a fantastic value. NEARBY: Tiny cocktail bar Blank Slate (7201 NE Glisan St.) is a charming choice for a sunny day—it offers a few idiosyncratic options for a very broad palate, whether a small list of to-go wines, three $5.50 beer taps or $9 classic cocktails.